In 1993, after a terrifying and disastrous attempt to climb K2, a mountaineer called Greg Mortenson drifted, cold and dehydrated, into an impoverished Pakistan village in the Karakoram Mountains. Moved by the inhabitants' kindness, he promised to return and build a school. Three Cups of Tea is the story of that promise and its extraordinary outcome. 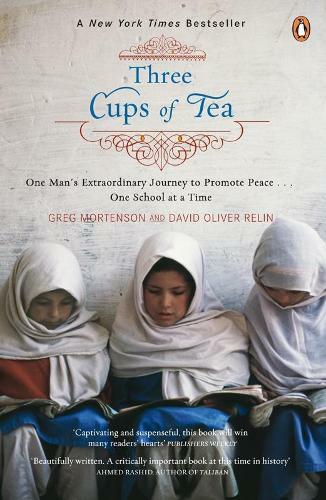 Over the next decade Mortenson built not just one but fifty-five schools - especially for girls - in remote villages across the forbidding and breathtaking landscape of Pakistan and Afghanistan, just as the Taliban rose to power. His story is at once a riveting adventure and a testament to the power of the humanitarian spirit.